Do you know what is best for low back pain? Go to the doctor? Take pills? Call your favorite PT? 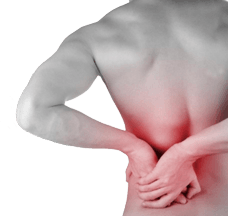 When you have lower back pain, you want to know what the best thing to do about it is, right? Research has been done and it has some good information. Conservative treatments such as physical therapy and exercises for workers’ compensation patients with chronic low back pain had better outcomes than spinal fusion surgery, according to researchers. The study, which appears in the Feb. 15 issue of Spine, found that low back pain patients who underwent lumbar arthrodesis had lower return-to-work rates than those who did nonsurgical treatments. Researchers from the University of Cincinnati College of Medicine used data from Ohio workers’ compensation cases to find 725 workers who had spinal fusion surgery for chronic low back pain. Many of those low back pain patients were suffering from degenerative disk disease, herniated disks or radiculopathy. They also selected the same number of workers as control. Outcomes were determined either two years after the date of surgery for their low back pain, or two years after the date of their injuries. The authors found almost all categories of outcomes were worse for the spinal fusion patients. Of the workers treated with physical therapy and exercises, 67% returned to work, compared with 26% of those who underwent surgery. Permanent disability was more likely to develop in spinal fusion patients (11%) versus workers treated without surgery (2%). Complications were reported in 36% of the workers who had surgery, and the reoperation rate was 27% during the two-year period, the authors noted. Also, 76% of those who underwent surgery continued to take opioid medications after their operation, often at higher doses.